Get rid of the flies, cockroaches and reduce the waste! Get rid of the bad smells in pit and Blair toilets in 12 hours! TREATMENT OF WASTE WATER TREATMENT PLANTS TREATING EFFLUENT FROM human settlements, ABATTOIRS, distilleries, bottling AND milk processing PLANTS, etc. The Material Safety Data Sheet shows how safe Bio-Activator is. This testimonial shows how effective and efficient Bio-Activator is in the treatment of various forms of waste water in a number of different waste water treatment plants. 1. Pit toilet: the smell will go away in 12 hours or less which results in a drastic reduction in the numbers of flies and cockroaches, and a drop in the level of the waste during this time can also be expected. The level of the waste can eventually reduce by as much as 1,5 meters (7-14 days) depending on the amount of the rubbish in the pit (plastic packets, nappies, etc), the number of users in relation to the depth/size of the pit and the composition of the surrounding soil. Even if the level only drops by as little as 30cm the treatment is working if the smell is gone. If this toilet is treated every month with Bio-Activator then the level will not rise again as long as no more rubbish is thrown into the pit. 2. Septic tank: depending on the number of users and flushes per day the smells could go away within 3 - 72 hours and any overflow also stopped in this time. 3. Package plant: depending on the design, the number of users and flushes per day the smells could go away within 24 - 72 hours and the effluent becomes clear. 4. Waste water treatment plant: depending on the flow rate and the design the smells could go away within as soon 12 hours (longer in large WWTP's). The reduction of the sludge will take some time depending on the volume and composition, however this process starts immediately. The amount of time required to achieve significant results (removal of smells, reduction/elimination of sludge, rendering the effluent to standard) will depend on the design and size of the waste water treatment plant, the flow rate and also the type of waste water being treated. See Waste Water Treatment for more information. 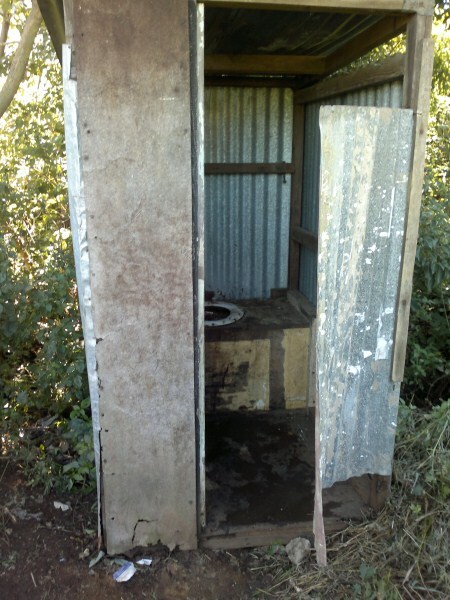 It is possible to have a toilet like this which has NO SMELL and almost no flies or cockroaches and IT DOES NOT GET FULL (as long as no rubbish such as nappies, plastic packets, etc. is thrown into the toilet)! *DISCLAIMER Results may differ and/or vary. Each toilet is unique in terms of the household or community it serves. Geographical conditions (including soil composition), the water table, chemicals and any rubbish (baby nappies, plastic packets, etc.) which have been thrown into the pit or septic tank will affect the outcome and therefore results cannot always be guaranteed or within the mentioned timeframes.